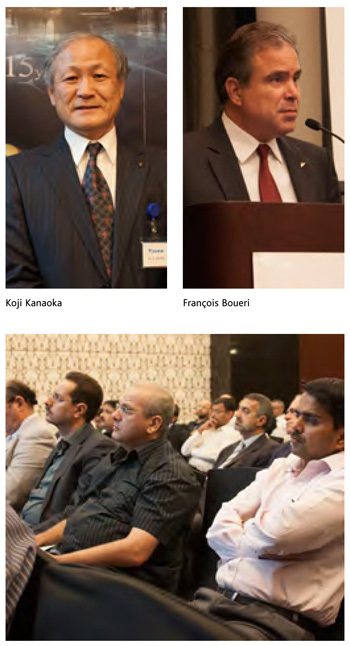 As part of the 30th anniversary of its VRV technology, Daikin McQuay, conducted a seminar at the Constellation Ballroom of The Address, Dubai Marina, on November 20, during which several key personalities from the company spoke on various topics, including the history and applications of VRV Technology, R32 refrigerant, and what the company claimed to be its contribution to improve the level of service in the region. The seminar commenced with a presentation by François Boueri, President, Daikin McQuay Middle East FZE. He primarily spoke about the history of the VRV, milestones in Daikin’s history and Daikin’s business performance in the past fiscal year. He also spoke about Daikin’s corporate profile, corporate structure and service set-up. 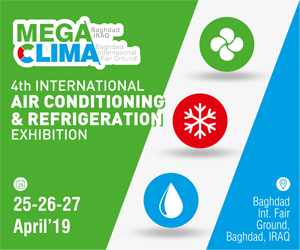 In addition, he mentioned some of Daikin McQuay’s projects to date, including Burj Al Arab, Jumeirah Emirates Towers, and Samariya Tower in Qatar. Next to take the podium was Koji Kanaoka, Senior Manager, Project Sales, Sales Planning Department, Global Operations Division. He made a detailed presentation on VRV technology, oftentimes, vis-à-vis chilled water systems. 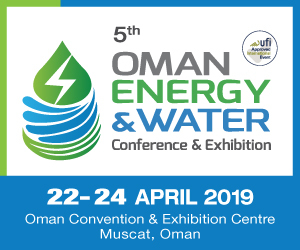 He highlighted that with the present demands in energy consumption increasing proportionately with economic growth, sustainability would became the most important consideration in selecting a system for any application. 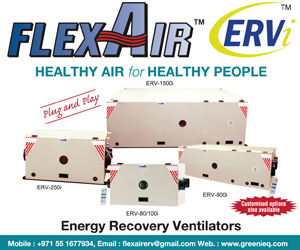 He, then, listed the various advantages of the VRV system, saying that, among other things, it has excellent performance in part-load conditions owing to an inverter-driven compressor. He also mentioned that VRV systems incur minimum energy losses, that current rush can be avoided due to the regulation provided by the inverter and that VRV consumes less electricity than chillers. He also cited examples of some of the countries where Daikin has a strong presence in, including China, France, Spain and Brazil. Another topic he covered was the introduction of R32 as a refrigerant. He stated that taking into consideration all the discussions on ozone depleting potential (ODP) and global warming potential (GWP), R32 is a realistic solution. He further supported this statement by pointing out that R32 is still the best and most balanced solution even in consideration of its lifecycle climate performance. The last speaker of the event was Maged Makar, Business Development Manager, Daikin McQuay Middle East FZE. He spoke about various solutions VRV provides for the usual demands and expectations of owners, developers, designers, installers and end-users. He said that VRV systems were possible solutions for owners looking for system reliability, low operating cost, precise use of capacity, quick return on investment and high comfort level. He also highlighted the advantages that VRV systems could offer consultants who are looking for an integrated system, low infrastructure cost, optimum use of space, Indoor Air Quality, low sound levels, efficient technical support and ease of maintenance. VRV systems are also suited for end-users looking for operational flexibility, individual or zonal controls, maximum uptime, and centralised control and consumption measurement, he said. The last part of his discussion focused on Daikin’s contribution to the improvement of level of service in the region. He first clarified that a reactive kind of service was no longer Daikin’s priority form of service. He revealed that instead, Daikin was looking to enhance its preventive and integrated service delivery, hence the introduction of the AirNet system. VRV systems have self-cleaning option that clears the filters every night and stores the dust in a dust box, thus keeping the equipment clean. VRV systems have a quiet performance of as low as 25 dba in super-silent modes. VRV systems have energy efficiency ratios of 12 at full load, and as high as 18.66 at part load. There are separate controls for each indoor unit. Proportional power division is possible with VRV iTouch manager and iManager systems. There is no more need to employ inspectors to read BTU meters. VRV systems use 0 ODP refrigerants. I like dubai green building regulations. And I think, I can join vith as a vrv teknision..